I have been busy working on the living room make over and of course that means there are a lot of mini makeovers. The first being this area by the fireplace. 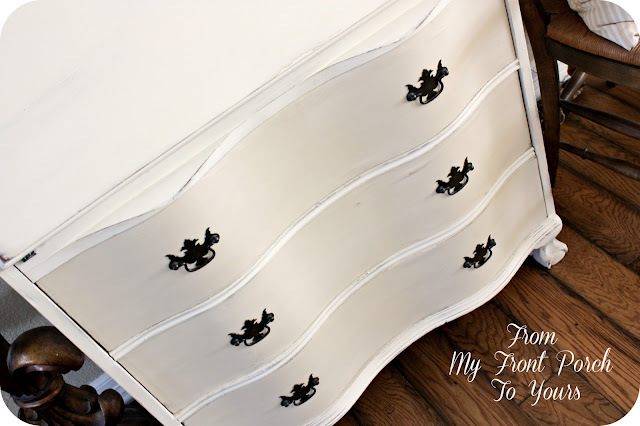 I have always loved this little vintage dresser that The Nana found for me back when The Hubster and I bought our first home. It has sat in this exact same spot for four years now and I was ready to find it a new home. 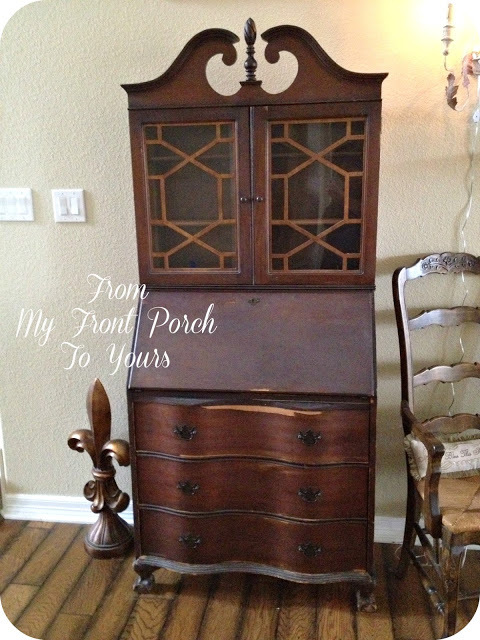 In came this beat up water damaged secretary that only a gal like myself could love. If you missed my post on what it looked like before you can click here. Of course I had to distress the secretary in areas to give it that time worn feel. I left the inside of the desk in its original glory. I always like to try and save some part of the original piece if at all possible. That and I wanted to tie the wood into the rest of the living room. Pictures of the boys great grandmas! That is my Nanny holding my mama. The other picture is The Hubster's Grandma Lillian on the left. Sure do miss these ladies! 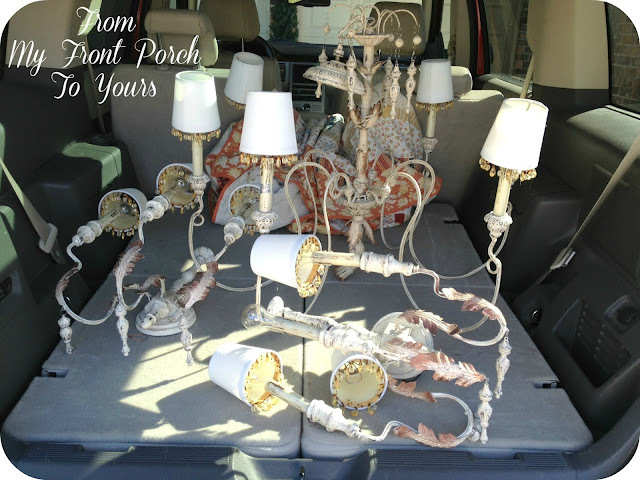 At the beginning of this year I had shared with y'all my frenchy chandy and sconces score from the local yard sale site. The chandy went up in the dining room back in February but it has taken till now for me to decide where to put the sconces. Since I was not able to hard wire them where I originally wanted them I asked The Papa to help me make them plug ins. It was a fairly simple project and only cost about $10 for the supplies. 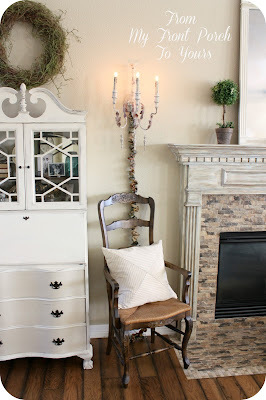 Now one of the sconces hangs by the fireplace. We changed the light bulbs out to night lite light bulbs because other bulbs were glaringly bright. This way they look more like candles. 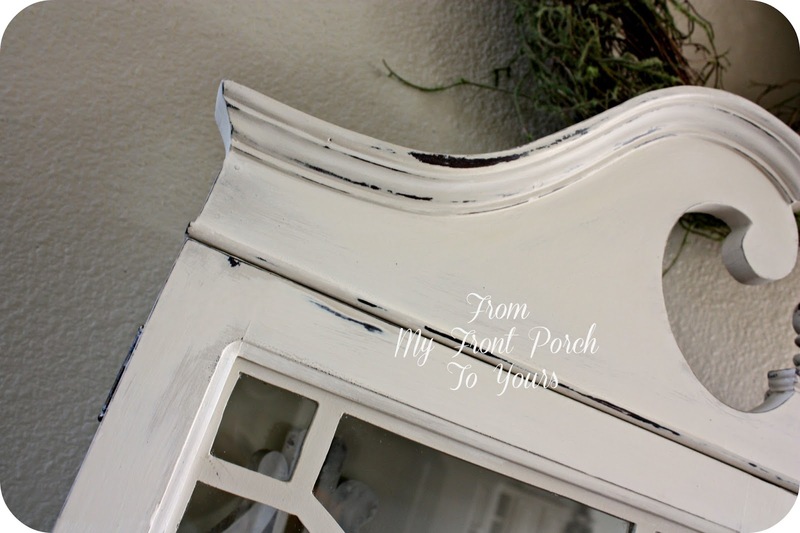 Next up I just need to finish accessorizing the living room and I will be ready to share its full reveal. Wow! That secretary turned out great. I love your sconces too. Isn't it awesome and fun to update with paint? It feels so new and fresh, yet existing favorites with some history. Great changes. 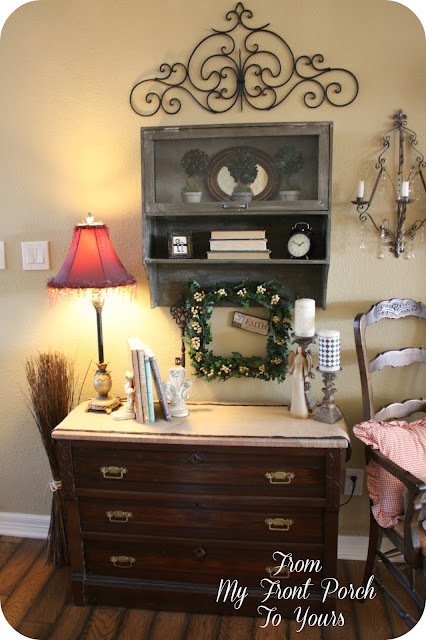 Love the secretary and I want to find some candle sconces kind of like those for my dining room. Hope to score in France. That secretary is gorgeous, Pamela! Love the colors you used. It took me a minute to see that the Old Ochre is on the drawers. Love the look and such a great way to use the two colors together. Everything looks wonderful. I am on the lookout for some sconces - yours looks lovely. 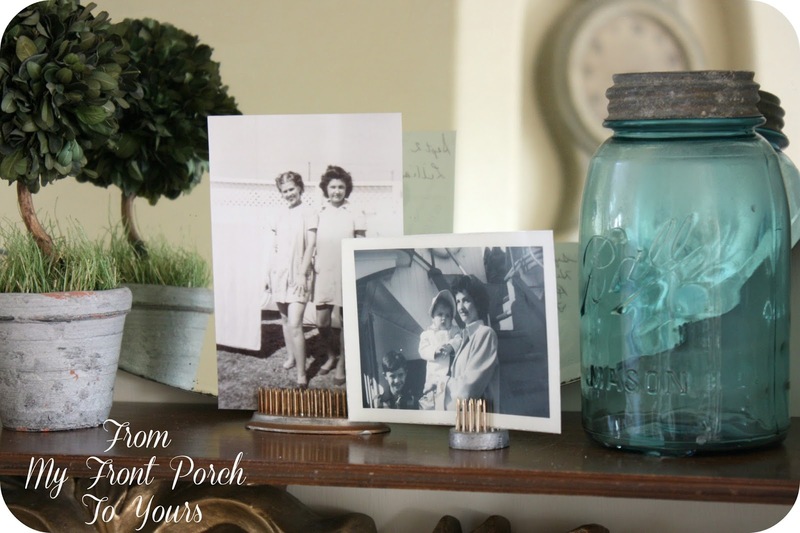 I am moving some things around myself - don't you love to change up your spaces! LOVE the way that secretary turned out Pamela and love that pretty sconce! can't wait to see the rest of the changes! Your secretary looks beautiful! What a transformation!! !What a lovely sconce too! You really did a terrific job on your secretary. I love the color and it looks perfect by the fireplace. I have a secretary also in cherry wood and it is still in great shape so I don't think I will paint it, but after seeing yours....... I just may. I like all the changes you have made to the living room. Pamela, your changes are great! You did a wonderful job on the secretary. What a great transformation! Pamela, I love your idea of leaving some part of the piece its "original glory"! What a great idea! Your little changes have added up to give that area a wow factor! Lookin' good! I love the secretary. I've always wanted to find one but I want it really cheap! It will happen one of these days. Love how the secretary turned out! The two toned colors look great! 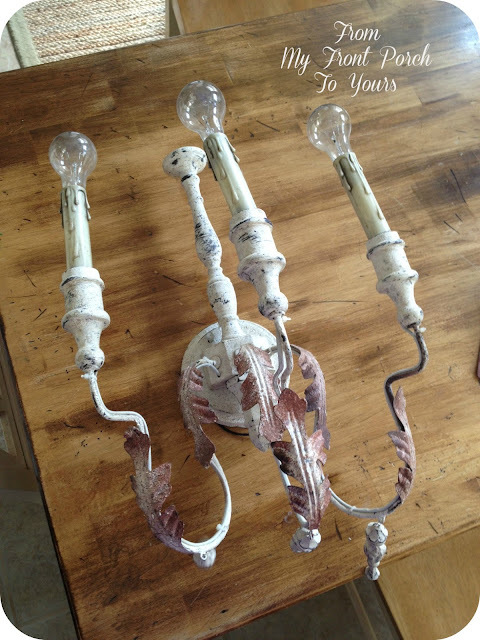 Your sconces look so pretty! Your living room is looking beautiful! I really love what you've done! 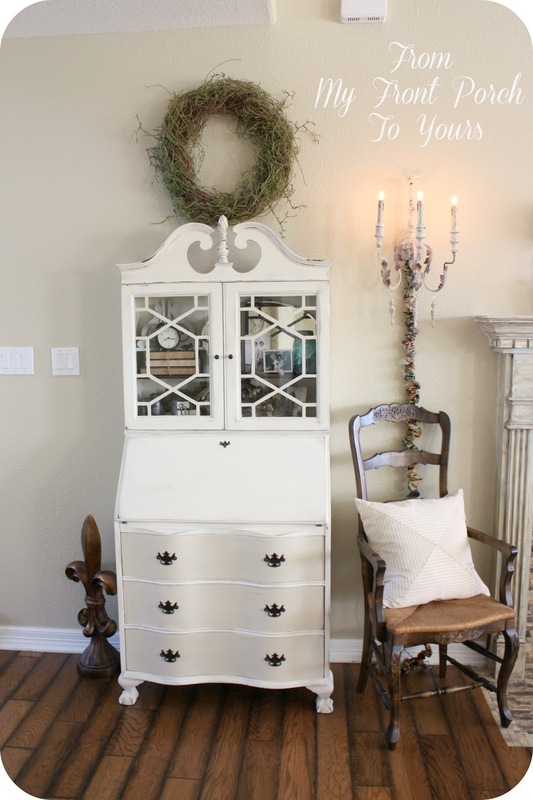 The secretary looks so pretty painted and those sconces...oh my...LOVE! Fabulous job! I had never thought of using night light bulbs. Great idea! you've given me so many ideas! Love the idea of leaving an original part to the piece you're re-doing, love the mix of 2 colors on the secretary, love how you made re-wiring look easy... but, most of all LOVE the cord covers you used. 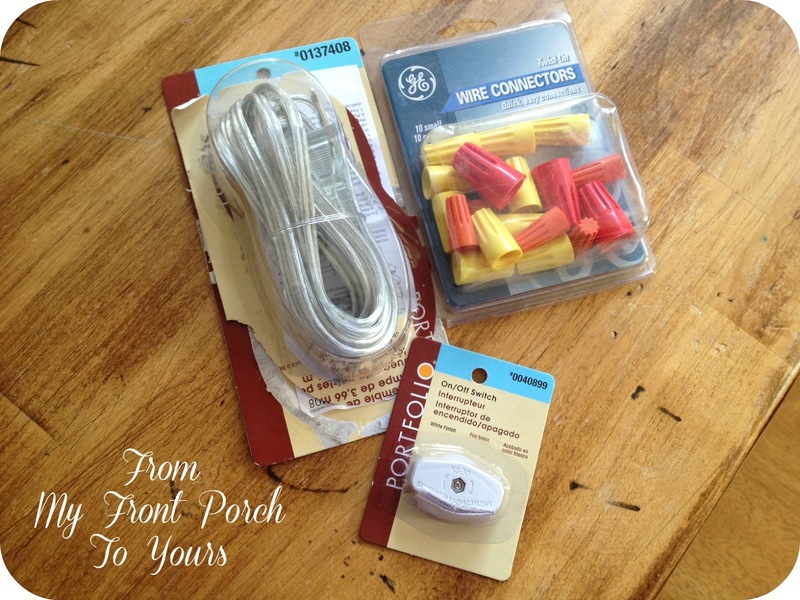 Wondering if you made the cord covers and, if so, what material you used??? You have such a pretty style Pam. I love how you left the inside of the secretary original! It's like a secret little spot ;) Everything looks lovely. I realllly like your new sconce and where you put it! It all looks great, Pamela! I love the way the secretary turned out! And those sconces are gorgeous. Now I'm wishing I hadn't sold my secretary! The old secretary looks great. Very pretty and keeping it neutral was a good idea. I love it! Wow, Pamela, that's gorgeous! 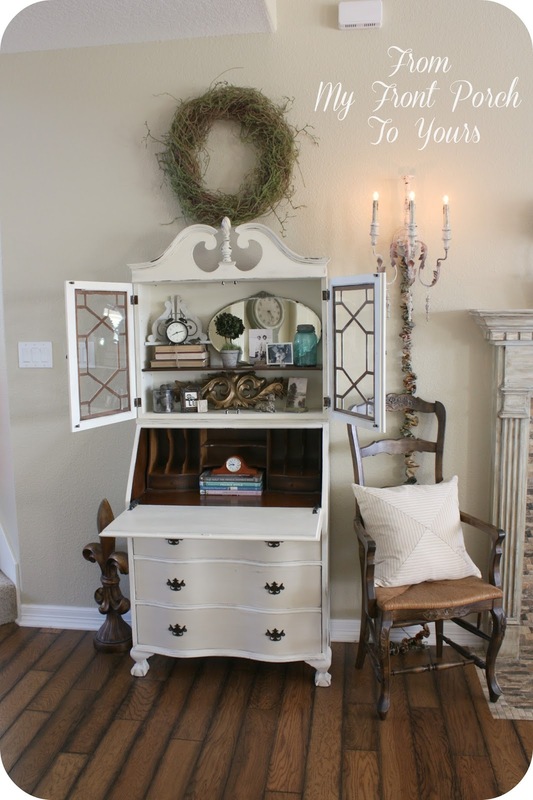 Love the painted secretary and new sconce!! Gorgeous! Everything is looking so lovely. 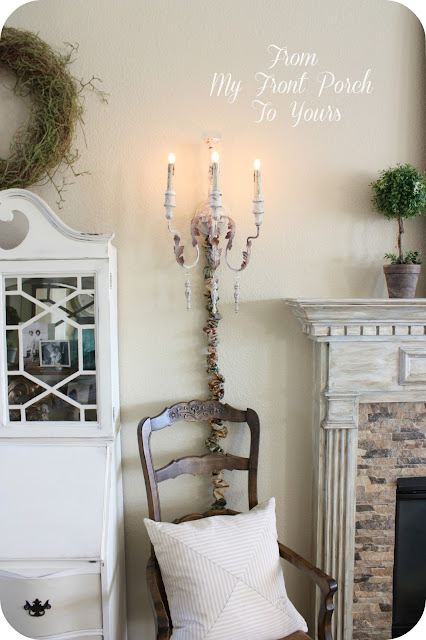 And I am in love with that sconce! Your space is gorgeous! 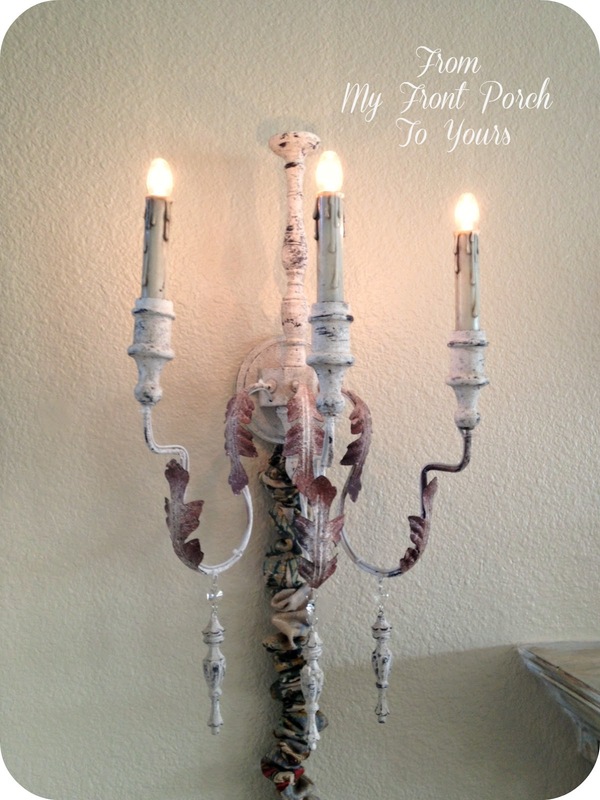 I am in love with your frenchy sconce! 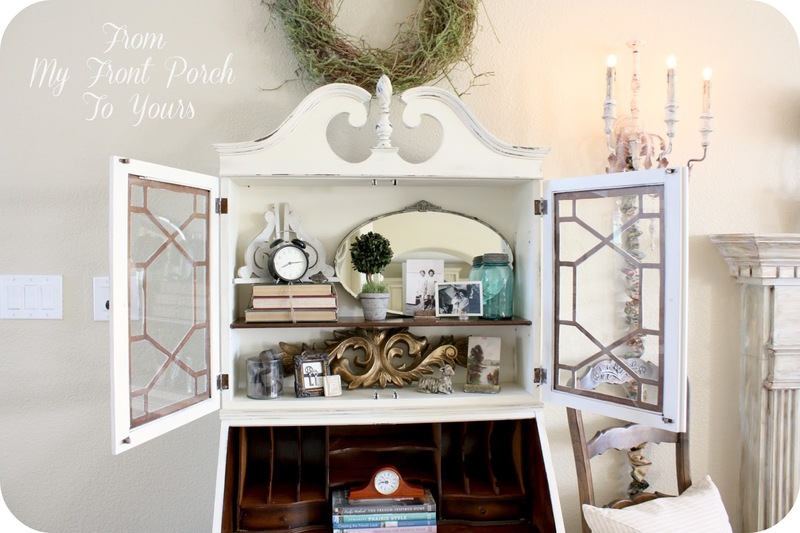 Your secretary is so charming as well as the sconce! The transformation of your secretary is beautiful! I love all the details of it with its curvy lines. Hi Pamela! Oh, I love your pretty secretary and how nice it turned out. Love the fresh color and the curvy drawers are so lovely. Hi Pamela, I love the transformation of the secretary and the sconces are wonderful. I still can't get over the price you paid for the chandy and sconces. Thanks for joining the Open House party and check out your feature this week. I'm picking my jaw up off the floor! Beautiful and those light fixtures....to die for! Love it all! Wow - the secretary looks great! And love those floors - what are they?? Great job! It all looks so pretty! You did a wonderful job on the secretary. So beautiful and nicely arranged. Congratulations on the feature at Miss Mustard Seed's Furniture Feature Friday.